How can I implement this BSDF? I implemented it.But something is error.Where is error? When implementing transmission into a path tracer you have to keep in mind that neither BRDF's nor your previous sampling method are gonna cut it. You will need to think about what happens to light on both sides of your surface, which is where BTDF's and, more generally, BSDF's come in (the T and the S stand for Transmittance and Scattering, respectively). It can be somewhat non-trivial to implement transmission to a path tracer that currently only supports reflection. While i can't offer help with implementation details i can give you a few starting points and things you might want to read while you embarc on implementing this capabilty on your path tracer. Pure and/or glossy refraction is a very common way of transmission, it is the type of transmission that happens on glass and probably what you are looking to implement. Light directions in refraction follow a simple mathematical law. There is a wonderful paper titled "Microfacet Models for Refraction through Rough Surfaces" that goes over a good piece of the theory behind microfacet models for refraction and presents a really quite good model for it. when rendering a material that has both reflective and transmissive components there are a few different approaches that you can take to mix the two. Generate a reflected ray and path trace. Generate a transmitted ray and path trace. Mix the two found color values according to Fresnel value for every rendered point. I really hope this information is of use in solving your issue, and good luck! Great to see new users on the site. Not the answer you're looking for? Browse other questions tagged raytracing brdf material or ask your own question. How do I implement object picking, using OBB in OpenGL? 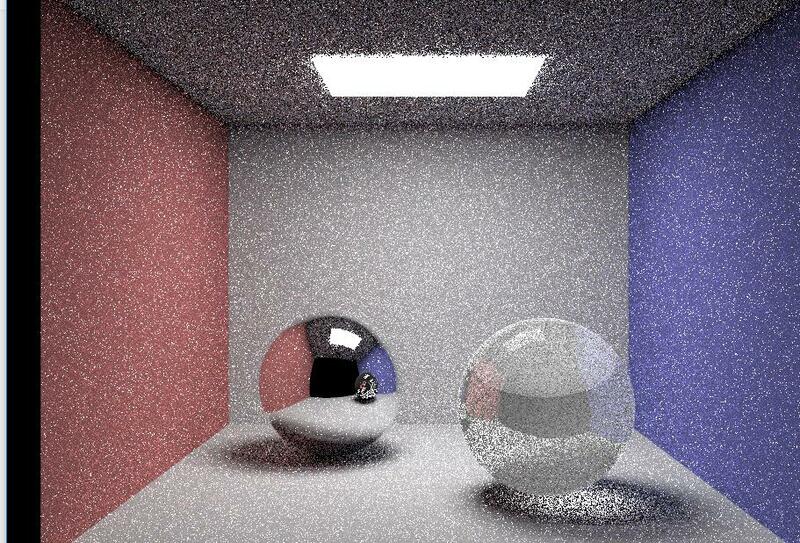 Can somebody explain this Ray Tracing Function?